Save up to 43%, why not try? 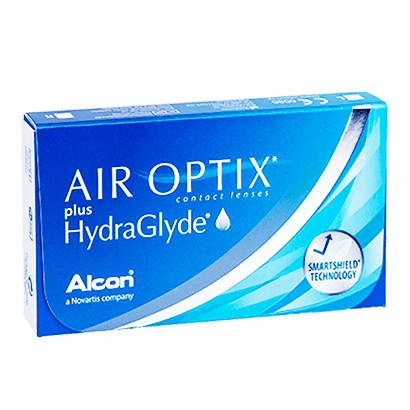 Eye care professionals, Alcon & Ciba Vision are proud creators of Air Optix Plus HydraGlyde contact lenses. Their exclusive moisture technology offers a longer lasting wear throughout the day. 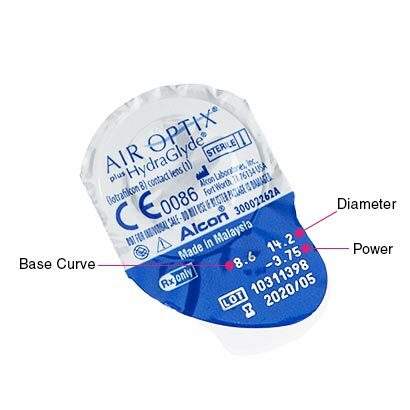 In comparison to various silicone hydrogel contact lenses, such as Air Optix Aqua, Air Optix Plus HydraGlyde contacts provide a higher level of comfort and consistent hydration, by allowing more oxygen into the eyes. Their combined use of SmartShield technology and HydraGlyde Moisture Matrix reduces the build-up of deposits in your eyes, whilst the HydraGlyde works by locking in the moisture it attracts. 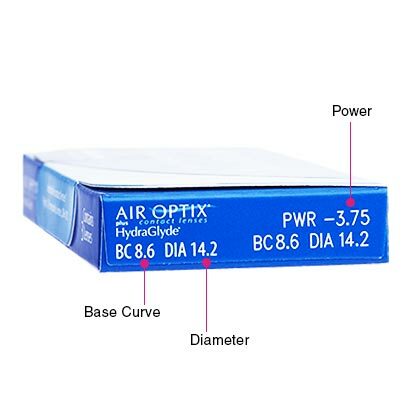 This ensures your lenses remain in the best condition for a whole month, supporting a comfortable lens wearing experience. Enjoy convenience and comfort with Air Optix Plus HydraGlyde monthly contact lenses, the perfect option for wearers who suffer from dry eyes and would like long-lasting surface moisture. The lenses have also been made with a handling tint for easy insertion and wear. Cleaning and storing your monthly disposable lenses has been made easier with our multi-purpose solutions. For everything you need in one bottle we recommend our comfi All-in-One solution. 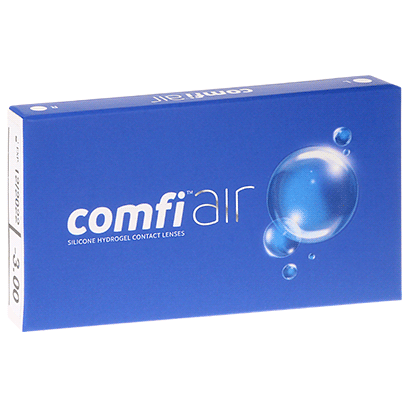 comfi Air are similar monthly lenses. comfi Pure 1 Day is a suitable daily contact lens alternative to these lenses. The lenses feel really good on the eye due to higher oxygen levels however I still find that if very tired or in a certain part of my cycle, my eyes will simply not be able to retain the lenses...so I go back to glasses for a little break. I like it, very good lenses, thanks. Very happy with this product! Will always buy my lenses from you! Very, very good. Thank you! so far so good. Will need to judge these over longer period. Very comfortable and clear vision but not as good as clariti elite for dry eyes as these can’t be worn for too long and start to irritate. These lenses are great value and comfortable to wear all day and night no problem. I take them out when sleeping which is around 6 hours and the rest of the time they are in and don’t irritate my eyes at all. Still not ok for me. Is it not very good quality for my eye''s. Well laid out website and prompt delivery following order. Love these lenses inwear for 12 hours sometimes and are very comfortable . I previously wore Air Optix Aqua, but these lenses are definitely better. More comfortable and sharper vision. I will continue to use them.